Road trip movies are hard. They’ve been done so much, it’s a struggle to find anything new; they rely on a series of vignettes, so it’s difficult to maintain many carrying themes and through lines; and if the people on said road trip don’t have chemistry, your movie is in trouble. Most known for indie dramas, writer/director Hannah Fidell (6 Years) dives headlong into mismatched buddy road comedy with The Long Dumb Road. It falls into some of these pitfalls at the same time as it skirts others, and while the results are often uneven, it’s also a raucous good time. Fidell is smart enough to cast two hilarious leads, cram them into a confined space, and stand back and let them run wild. Tony Revolori (The Grand Budapest Hotel) plays Nat, a sheltered upper-middle class kid on his way to art school in Los Angeles, driving cross country in search of the mythical “real” America, the kind that only exists in black and white photos of of broken down cars and rusty barbwire fences. Along the way, he picks up Richard (Jason Mantzoukas, Brooklyn Nine-Nine), an alcoholic wing-nut, and true to form, chaos ensues. The dynamic between Nat and Richard isn’t anything unfamiliar or unexpected—it’s a straight-laced innocent juxtaposed against a raging lunatic. But the chemistry between Revolori and Mantzoukas drives the whole picture, and they’re more than up to the challenge. With razor-edged comic timing, though it’s easy to predict the mayhem, they barrel through with improvised riffs, crude humor, and plenty of laughs. 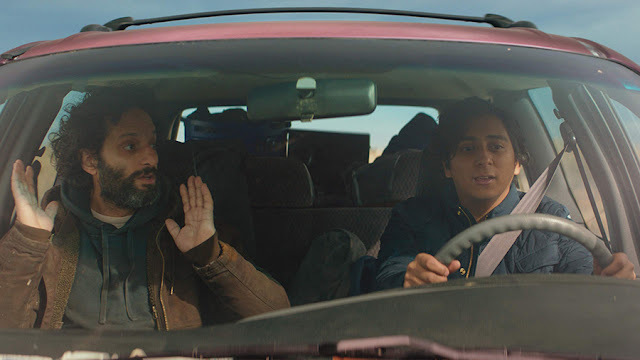 The Long Dumb Road peaks when it allows Revolori and Mantzoukas to rip and run, bouncing through a series of wacky shenanigans, roadside romantic entanglements, and absurd adventures. But it also definitely loses focus and meanders. It forces attempts at earnest emotion, and though not terrible, they’re generic and drop at the precise moment the audience expects—if you were to map the narrative arc of a road trip movie, you could place a pin in the exact moment where the “big dramatic realization” occurs. Fidell and co-writer Carson Mell (Another Evil) have a solid grasp on the structure, but never vee from the formula and it lacks much in the way of stakes and investment. 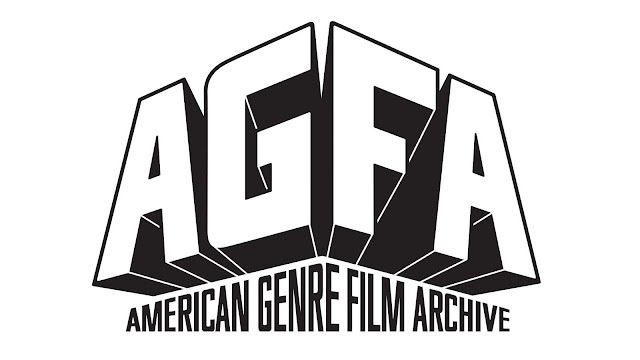 Working with cinematographer Andrew Droz Palermo (A Ghost Story, You’re Next), Fidell and company craft a lovely film. They make full use of the stunning Midwest vistas, natural colors, and the roadside Americana one encounters on the open road. Just looking at it may make you long for a jaunt on the highways and byways.